Make plain sugar cookies special with a simple-to-make DIY herb-infused sugar. Or, as I prefer to say, Happy Day After The Ninj's Birthday! I don't do a whole lot for Halloween. Heck, since we moved to the farmette, we don't even get a single trick-or-treater. I guess making the half-mile walk down our driveway in the pitch dark just for a Reese's peanut butter cup is a little too spooky. But since I own the cute black cat treat bags that you see in the photos (they have sparkly green eyes, too!!) 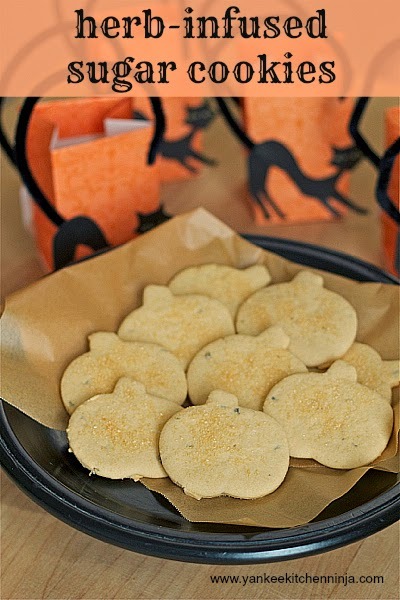 and I was making these herb-infused sugar cookies anyway, I decided to tip my hat to The Day After The Ninj's Birthday. These herbed sugar cookies are really a joint effort, though, because they center on herb-infused sugar (in this case, lavender, vanilla and lime zest) made by my new blogger friend Jess of Gather Round Kitchen. We met at a local food swap, where she was swapping this simple infused sugar. Easy yet fancy: totally brilliant! I used it to make sugar cookies but you could also use it in your tea or some simple breakfast muffins. Another swapper used it to make a lovely sugar scrub as well. Did you see Monday's post for pasta with butternut squash, broccoli, cranberry beans and bacon? It was a guest post from Sandra over at Kitchen Apparel. We did a blog swap: her post and recipe appeared on my site and mine on hers. 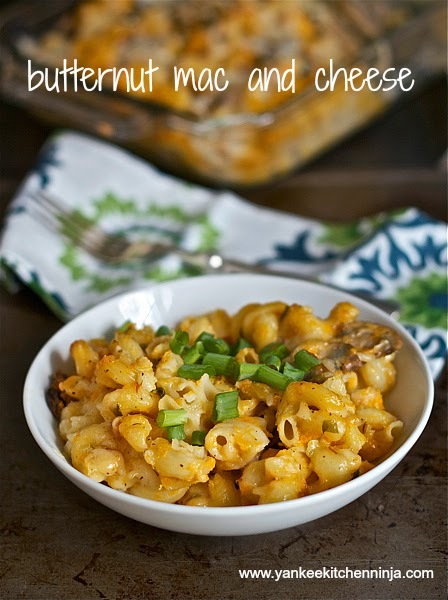 My post was for the butternut mac and cheese you see above: go check it out! Hello fellow Ninja followers. Let me introduce myself. I am Sandra, and today we get to hang out together here in Julianne’s space. She was awesome enough to play a little blogger switch with me. That’s right, I am a fellow food blogger, but also a huge fan of The Ninj. I don’t have to tell you why she is so awesome because you frequent here regularly, too. The Ninj and I happened to connect the way most bloggers do, by chance. I quickly learned how cool she is by reading through a bunch of her recipes I found out we had a lot in common. Making hard cider is one of The Ninj's favorite fall activities. Now is the perfect time to get some fresh-pressed juice and get started. The process takes some time but the payoff is delicious! 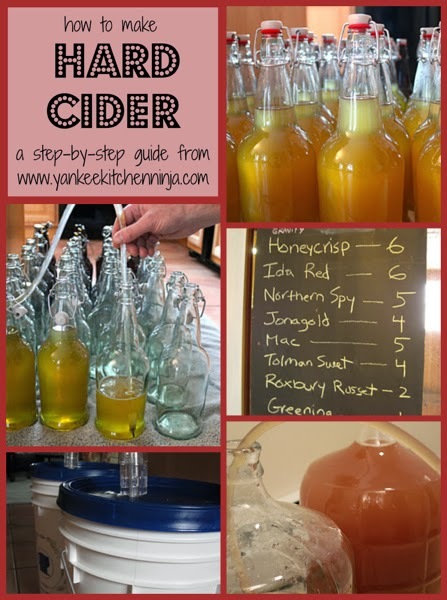 If you'd like to learn how to make your own hard cider, check out my three-part tutorial. Be sure to read through all three installments before you begin. There are many helpful links throughout to the cider-making supplies that you will need. 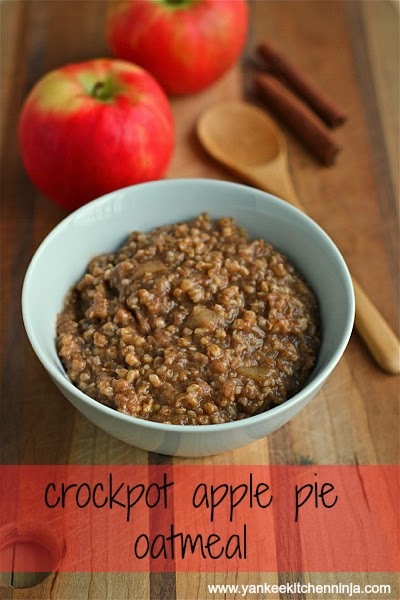 Crockpot apple pie oatmeal -- cook a delicious, hearty, no-sugar breakfast while you sleep. Yes, it's true: oatmeal that tastes like baked apple pie, made effortlessly in a crockpot while you sleep. Peeps: I may have come up with the world's most perfect breakfast. Regular readers know that I am continually on the hunt for quick-and-easy yet healthy-and-delicious breakfast ideas. Coming up with new ones gets more and more challenging, yet who likes to eat the same thing over and over? Not The Ninj, that's fo sho. I've made overnight oatmeal in the crockpot before, which is extra easy (with no risk of a scorchy mess) when you use the water-bath method. It's simple: Put all your ingredients into a heat-safe bowl (I find that a one-quart Pyrex measuring cup is the perfect size) and put the bowl inside a large (6-quart) crockpot. Fill the crock with water to just above the ingredient line in your bowl, being careful not to fill too high; you don't want cooking water flowing into your oatmeal! Cover it and cook on low while you sleep and -- VOILA! -- breakfast is ready when you awake. It's also the best way, in my opinion, to eat steel-cut oats, which can be a little too tough and chewy if not cooked for a really, really long time. So while crockpot oatmeal is awesome anytime of the year, this particular recipe is really customized for fall with the inclusion of chopped apple, apple pie spices and apple butter (or, since I made a ton of it last week, bourbon apple pumpkin butter) -- and, of course, sweetened with maple syrup. If you want it to be more pumpkiny, simply substitute pumpkin puree and pumpkin pie spice: yummy, pumpkiny breakfast nirvana. 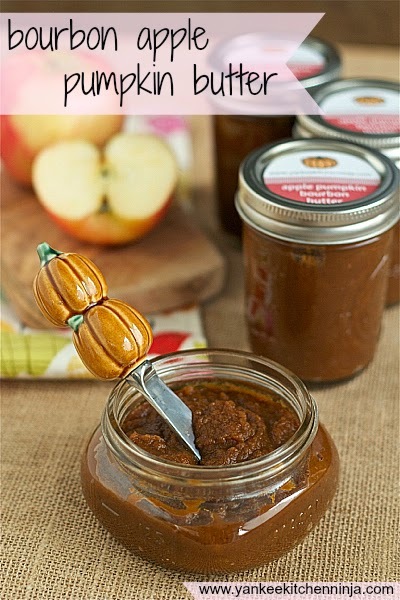 Slow cooker bourbon apple pumpkin butter -- so simple to make in the crockpot, using fresh pumpkin. 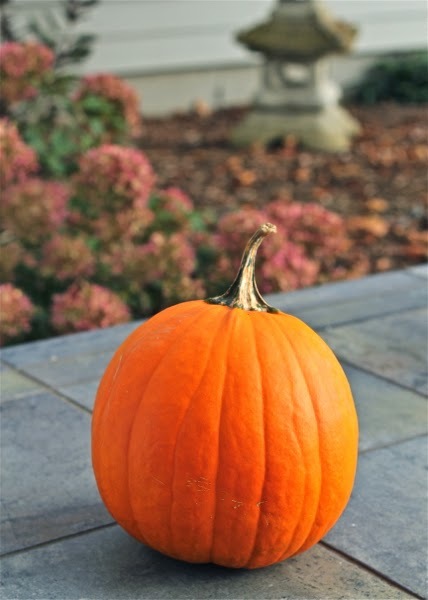 It's the third week of October: Are you sick of pumpkin yet? There you go: Possibly the most perfect fall recipe yet, no? I have no doubt you have seen lots of recipes flying around the blogosphere this month for pumpkin butter. But have you really looked at them or made any of them? It's safe to say that 99 percent of them involve cooking down some canned pumpkin. Come on, peeps: We can do better. (Ninjas always do better.) And it's not hard. If you're going to go to the effort to make a pumpkin butter, why not use some fresh pumpkin? Jeesh, and if you throw it in a crockpot and then immersion-blend the bejesus out of it, it practically cooks itself. I really don't think you can have too many recipes for snack bars. I mean, really: What other food can stealthily morph from a grab-and-go breakfast to energy bar to sweet dessert, all in one day and without changing shoes? Mind you, this snack bar should not be confused with either a rice krispy treat (too sweet) or a granola bar (too, well, granola-y). It is neither, yet it is both. 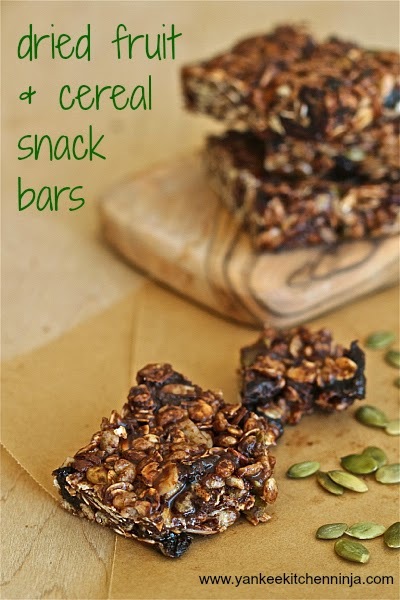 I love that it is loaded with dried fruits, nuts and grains yet still offers enough sweetness to seem more like a treat. And the puffed cereal provides just enough chewy-crunchiness to round out the whole dealy. Oh, hold the phone: DID I MENTION IT'S A NO-BAKE BAR? 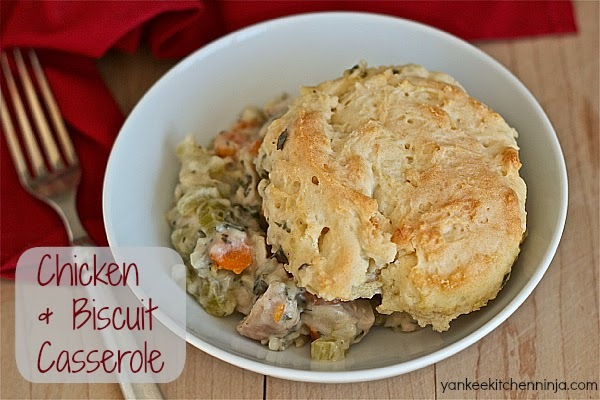 Chicken and biscuits: is there really any more perfect comfort food? Is there any more perfect dinnertime comfort food? And, since today is Thanksgiving for my Canadian friends (have a happy one, peeps!) and our own version is rapidly approaching, it's also very timely. Fusion-wise, here's the story. Despite my love of bacon, I'm always trying to work more healthy, veggie-packed dishes into our dinner routine. Unfortunately, as regular readers will recall, Mr. Ninj is not a fan of most vegetables: he has texture issues. Tops on the texture issue list is squash. Even yummy squash like acorn or butternut -- even bathed in maple syrup and butter -- get a big thumbs-down. Sniff: more foods to add to my ever-growing "recipes to make only when Mr. Ninj is out of town" list. Therefore, I came across a "turkey pot pie" recipe that included a sweet potato topping, I figured I'd be OK. I mean, sweet potatoes are just potatoes, right? Wrong. Apparently they are too closely aligned with squash, both in color and texture. I, on the other hand, loved the recipe and wasn't quite willing to let it go. Since it billed itself as "pot pie" (the only pot pie-ish thing was the filling, though), I realized I could probably substitute a bready or crusty topping and still be able to keep it in the recipe rotation. So I pulled out my secret weapon: easy-peasy drop biscuits. I made the "pot pie" filling and topped it with some blobs of biscuit dough and baked that bad boy into a rich, comforting casserole. After the last staggeringly sugary pear honey post, I figured you deserved a shot of savory. I had my first sausage roll (well, it was a pasty but same diff) when Mr. Ninj and I took a trip to the UK a number of years ago. My reaction? 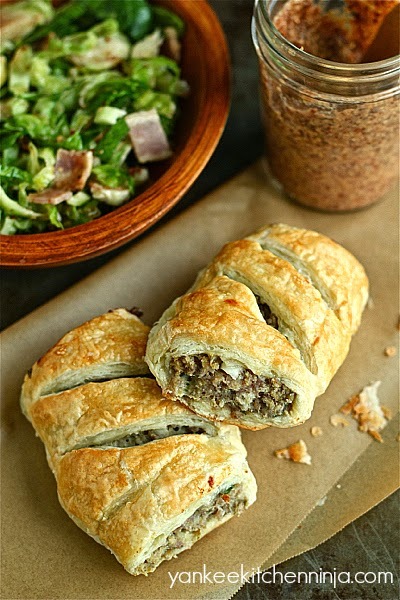 Yeah, they were some pretty damned addictive sausage rolls. I made them a few times at home but they never tasted quite the same, which meant they fell out of meal rotation. So thank the sweet baby jesus that I have a copy of Melissa Pasanen's and Rick Gencarelli's Cooking With Shelburne Farms and I happened to pick it up last week. The book has recipes for all the seasons, but for some reason I tend to gravitate toward it almost exclusively in the fall. It is more likely because I think fall is the perfect time to cook what I think of as the best Vermont foods: earthy squash, crisp apples, hot cheesy soups, make-the-whole-house-smell-like-a-holiday roasting meat. 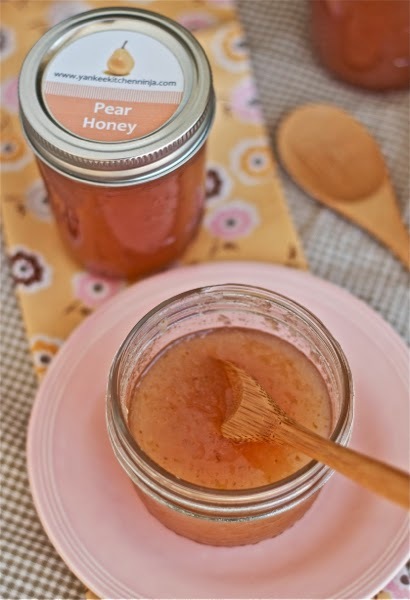 If you like jam you'll love this vintage recipe for pear honey -- sweet and spreadable with a hint of ginger. 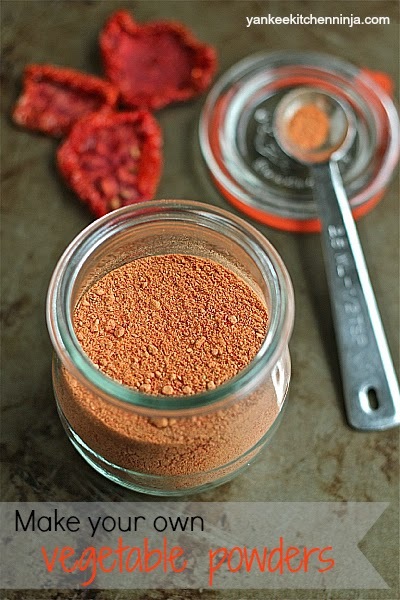 Enjoy it on toast, muffins or even as a basting sauce for chicken! I have been looking so forward to writing this post. 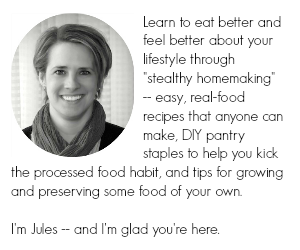 And not simply for the opportunity to introduce you to pear honey (it's not really honey, honey, but we'll get to that in a minute) but rather to talk about backstories. My sister-in-law once asked me how I decide what to put on the blog. Largely, my inspiration comes from the seemingly never-ending supply of food magazines to which I subscribe (probably too many), Pinterest pins (probably too many) and aha! moments of my own (probably not enough). And then sometimes they are simply handed to me. A few weeks ago, given the overwhelming number of pears we got from our trees this year (yay, pear trees -- keep up the good work! ), I made and posted about pear butter. Yum. In sharing a link to the pear butter post on my Facebook page, a follower commented something Amazon-ish like "If you like pear butter, you should try pear honey." Here's where the backstory gets interesting: The commenting follower was Margaret, a college classmate of mine that I didn't know well as an undergrad and have only come to know better and consider a friend in the past few years, thanks to Facebook and 5-year-interval college reunions. In her comment, she mentioned that her mother used to make pear honey all the time. Whaaaa? Pear honey? I was intrigued. I (of course) googled around and found that pear honey isn't honey at all but actually a sweet pear jam. Bizarrely, it's made with pears, sugar and ... wait for it ... canned pineapple. I know, right? Who the hell decides to put these things together for the first time? "You know what this pear jam needs? PINEAPPLE!" But I was willing to take Margaret's word for it. But given the variety of recipes for pear honey on the interwebs claiming to be "the best," I decided to go for a proven recipe: I asked Margaret if her mother, Helen, would be willing to share her recipe. OK, OK -- it's officially October 1 now. Bring on Pumpkinpalooza!